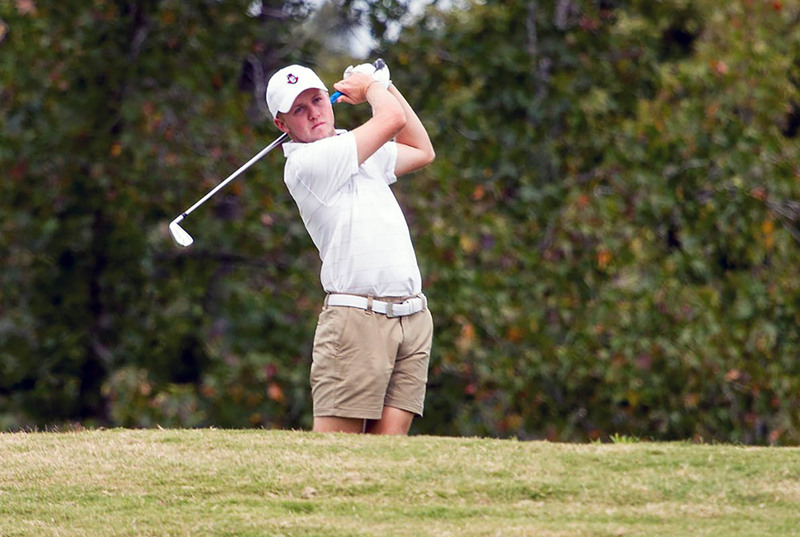 Jonesboro, AR – With winds at 25 miles per hour and gusting up to 40, Austin Peay State University men’s golf found the conditions difficult on the final day of competition at the Bubba Barnett Intercollegiate. 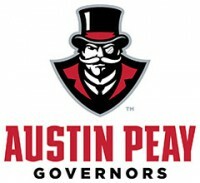 The Govs dropped to eighth after a final-round 308, finishing second among the four Ohio Valley Conference schools in attendance behind only UT Martin (sixth). Nashville, TN – Medical oxygen is a necessity for Tennesseans suffering with respiratory illnesses, but it is among the leading causes of fire fatalities in homes across the state. 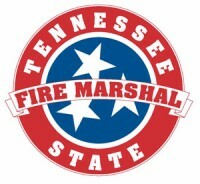 The Tennessee State Fire Marshal’s Office (SFMO) reminds consumers that homes where medical oxygen is used need to have specific fire safety rules to prevent fires and burns. 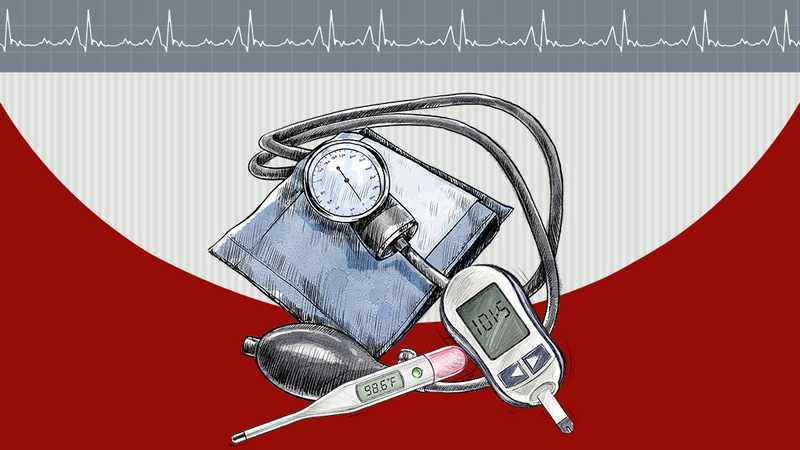 “We urge Tennesseans to take extra care when using medical oxygen in the home,” said State Fire Marshal and Commerce & Insurance Commissioner Julie Mix McPeak. Clarksville, TN – Austin Peay State University’s softball team will renew an old rivalry versus Tennessee Chattanooga, 5:00pm (CT), Wednesday at Frost Stadium, ending an eight-year hiatus in the series between the two in-state universities. 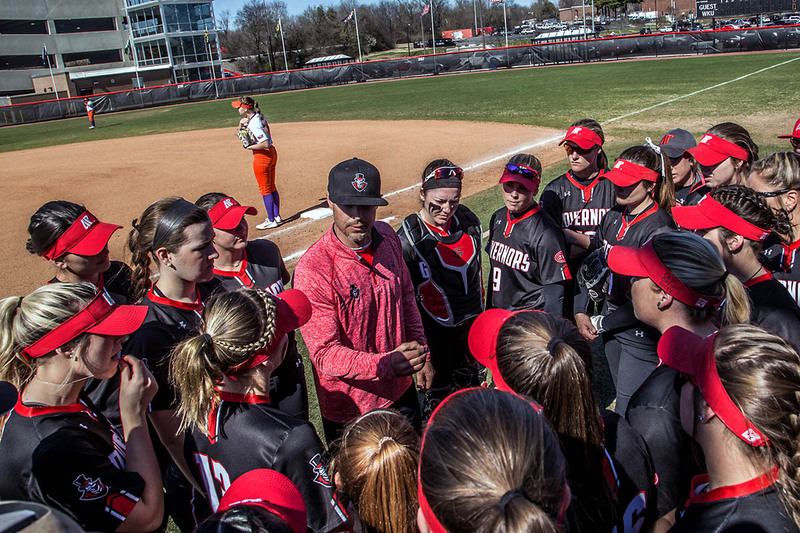 The Govs enter the matchup versus the Mocs with a 20-10 overall record this spring, after dropping a 3-2 decision on the road to Middle Tennessee on Monday. 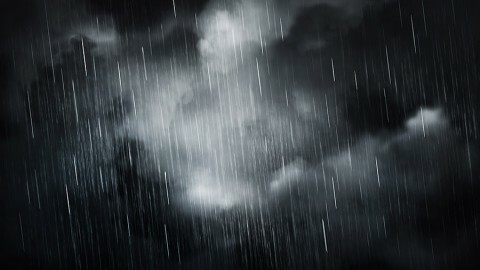 Clarksville, TN – The National Weather Service reports that severe storms are possible late this evening for Clarksville-Montgomery County and all of Middle Tennessee, however the best chances will be along and west of I-65. The primary threat is damaging straight-line winds. Large hail and isolated tornadoes will also be possible. In addition, a Wind Advisory is in effect for areas west of the Cumberland Plateau through 10:00pm this evening. A cold front will move across Clarksville-Montgomery County tonight bringing with it a chance for severe storms and high winds. Clarksville, TN – The Holiday Barbershop on Riverside Drive was good enough to host the Clarksville Police Department’s second “Chat and a Cut” on Saturday, March 31st, 2018. It’s a way for the Clarksville Police Department to reach out to the community and meet citizens in a comfortable, non-threatening environment. 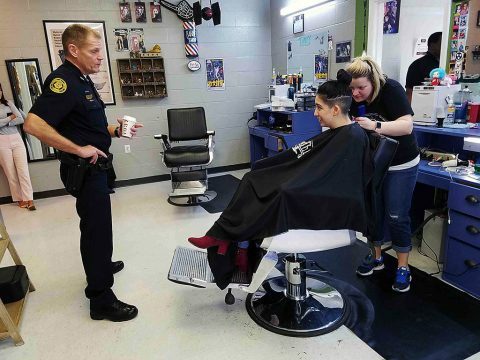 The Chief and several other officers walked into Holiday Barbershop on Saturday morning with coffee and donuts in hand ready to meet and talk with patrons coming in for a “cut”. Clarksville Police Chief Ansley at Chat and Cut. 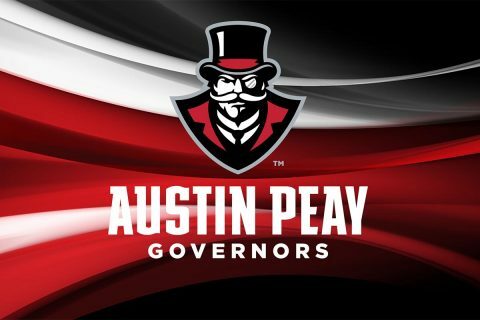 Clarksville, TN – Austin Peay State University president Dr. Alisa White and athletics director Ryan Ivey announced progress toward athletics facility improvements and the Austin Peay State University Board of Trustees approved facility naming designations during its March 9th meeting. Joe and Cathi Maynard will be recognized for their contributions and pledged contributions to the athletics department at both Raymond C. Hand Park and Cheryl Holt Field, the university’s baseball and softball facilities respectively. The baseball field will be known as the Joe and Cathi Maynard Baseball Field and the softball facility will be known as the Joe and Cathi Maynard Softball Stadium. Clarksville, TN – Clarksville Police are looking for Adriam Cantrell Kendri Hodge, age 21, height 5’8, and weight of 160lbs. On Monday, April 2nd, 2018, around 1:00pm, officers responded to a shots fired call in the area of Lincoln Drive. When officers arrived they spoke to a man in the 22 building who told officers he heard a knock at the door and answered it. 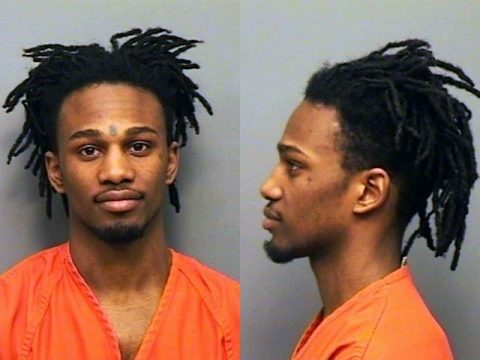 Adriam Cantrell Kendri Hodge is wanted by Clarksville Police for an attempted robbery that occurred on April 2nd, 2018. 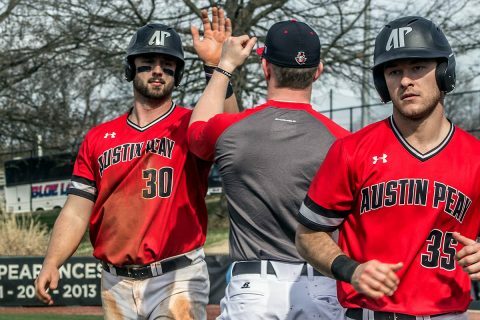 Clarksville, TN – Austin Peay’s baseball team kicks off a scheduled six-game road trip when it travels north to face Southern Illinois in a 3:00pm, Wednesday contest at Itchy Jones Stadium. Wednesday’s contest is the back half of a home-and-home set between the Govs and Salukis. 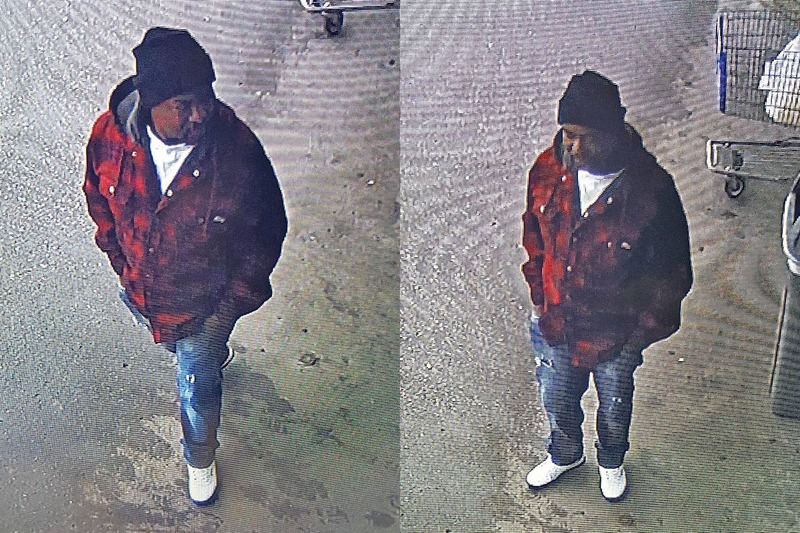 Clarksville, TN – Clarksville Police are trying to identify a man, possibly responsible for several vehicle burglaries occurring over the last three weeks. Each burglary was a target of opportunity type theft. The vehicles were all unlocked and the drivers left their vehicles unoccupied for a short period of time when the thefts took place–delivery drivers or dropping off at a daycare. 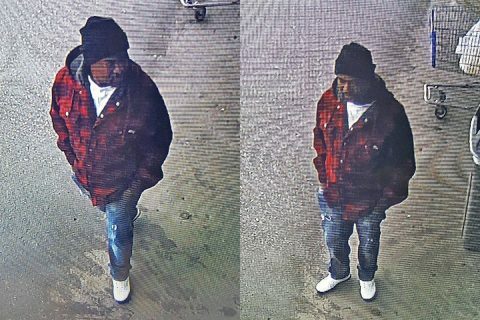 Clarksville Police are looking for the man in these photos for the burglary of several vehicles. 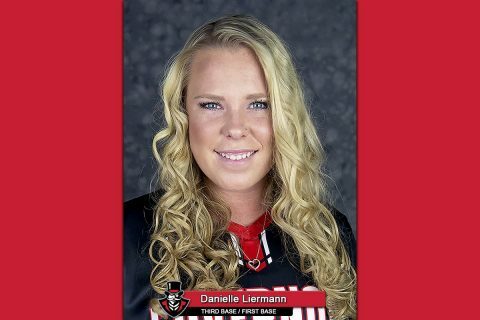 Brentwood, TN – Junior third baseman Danielle Liermann made history on Monday, joining Austin Peay State University Athletics Hall of Fame member Andrea Miller as the only two Governors to earn adidas® OVC Softball Player of the Week honors twice in the same season, as announced by the conference office. 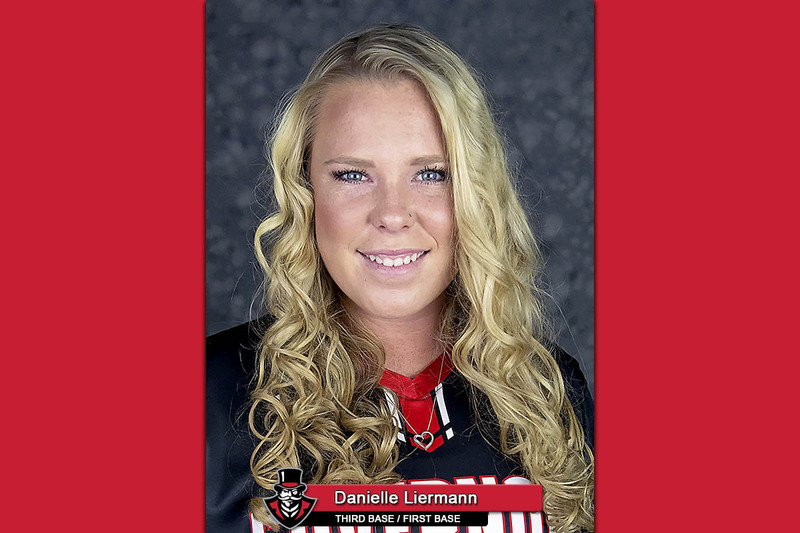 Miller (1993-96) earned her two OVC Softball Player of the Week honors in back-to-back weeks to open April 1994.